The primary venue for communicating safety is still safety meetings. And the effectiveness of your safety meetings is driven in very large part by how you conduct those meetings. We could do them the way we’ve always done them–usually, an unimpassioned, obligatory reading of safety points on a checklist. Or we could apply safety leadership solutions to these meetings and turn them into meaningful discussions that give employees the best chance of internalizing safety for themselves. We’ve discussed how to conduct more engaging safety meetings in a number of past articles. Here I want to supplement those points with some not-always-apparent ways to apply safety-leadership solutions to those meetings. If you work outdoors and are required to wear eye protection, you probably wear shaded safety glasses. But that’s not a good idea if you are leading a pre-shift, toolbox or tailgate safety meeting. Why? It’s all about eye contact. If my audience can’t make eye contact with me, I rob myself of the advantage of building rapport and checking in with them during that meeting. Go ahead and wear shaded safety glasses on the job; but for purposes of engagement, don clear glasses when leading a safety meeting. This is a great way to maximize engagement and safety awareness among the work crew, and it’s especially effective if you and your crew are on a new job site, working in a new area, or working with new equipment. The idea is to be on site and have them look around to see if they can find any hazards that might become problems later. This gets them actively thinking about the job and the hazards of the job. One of the mistakes we often make is to assume that safety meetings should be led only by titled or “official” leaders. Limiting that role to titled leaders misses a prime opportunity to develop our front-line employees to become safety leaders in their own right. Rotating safety meeting leaders allows us to apply safety leadership solutions to their development. 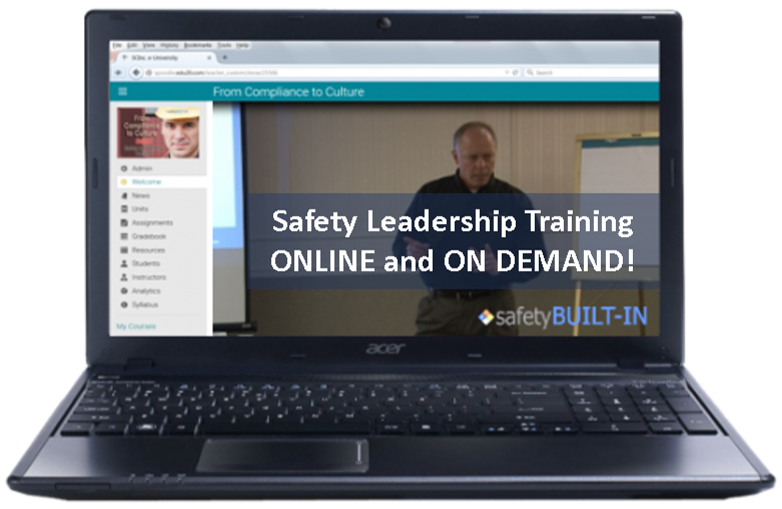 The best thing we as leaders can do to build a safety culture is build leadership capability into front-line employees, and one of the best ways of doing that is to give them opportunities to lead those meetings. Will it be perfect at first? Not even close. You’ll need to coach them on what good looks like, and you’ll need to do that a lot! But they’ll gradually make improvements and those meetings will eventually be surprisingly effective. The difference between a “near miss” and a “good catch” is the difference between a lagging indicator and a leading indicator. A near miss is simply an incident where no one got hurt and no property was damaged, and often pure luck was the only thing that prevented an injury. A good catch happens when someone notices a hazard and does something about it before it results in a near miss or an incident. Reporting near misses has value; but it’s not predictive. It doesn’t tell us what comes next. But reporting good catches indicates that people are actively looking for hazards. That has a much greater value in a safety culture. Incident reports are great discussion tools. But keep in mind they are very mechanical in the way they are written. They report the mechanics of that incident, not the impact the incident had on the person who got hurt and on his/her family. Tell the story instead of simply reading the report. There are, of course, many more things we could do to apply safety leadership solutions to safety meetings. But these will at least get us moving in the right direction. Remember, safety culture is about leadership, and not just the titled kind. 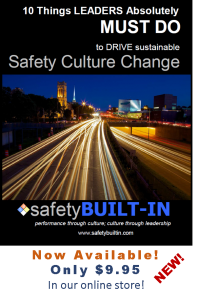 Anything that gets front-line employees (those most at risk on the job) actively thinking about safety and actively leading safety can easily be added to the safety leadership solutions we’ve already mentioned.